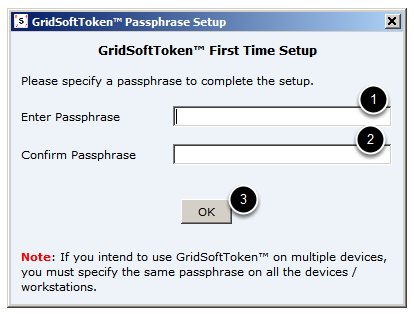 Provides instructions for installation of GridSofToken on Windows, Mac OSX & Linux. The instructions for all 3 platforms are very similar as the GridSoftToken client is installed as Java Web Start application. The client should have Java version 1.5 or higher installed. 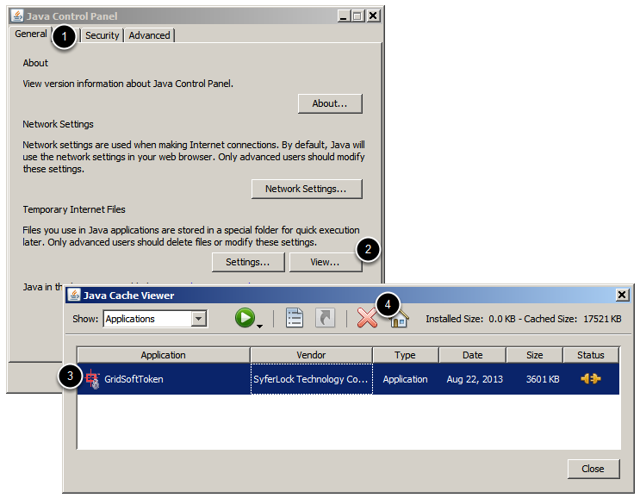 Both 32-bit and 64-bit Java versions are supported. 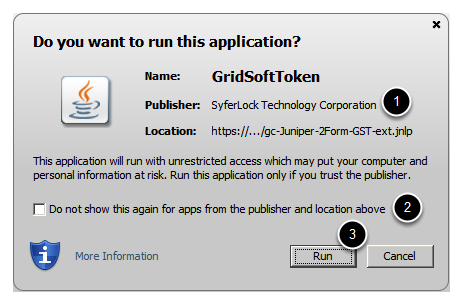 Click on a link such as the one provided above to launch the GridSoftToken client on your computer. Note: Depending on the nature of the platform GridGuard is integrated with the look and feel of the page might be different from what is pictured above. A prompt will be displayed to yoy requesting permission to run the application. 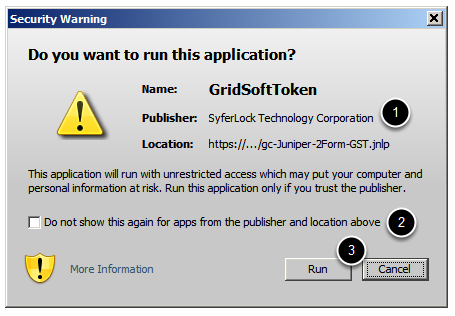 A security warning will be displayed to yoy requesting permission to run the application with unrestricted access. This level of access is required for the app to store settings on your filesystem / registry. The serial number for the token will be displayed on this next screen. 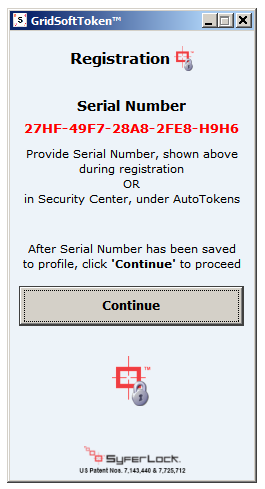 Use this serial number to register this GridSoftToken client to your account at registration or through Security Center. The GridSoftToken client setup is now complete!! Click on the X (in red), to delete the application. 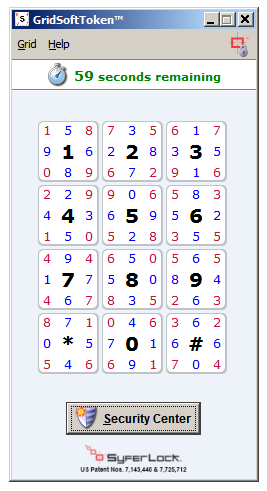 Once delete is complete a message saying GridSoftToken Uninstall Complete will be displayed.